Bump for new (beta) version with rebellion export support. Read the OP for more info. Best bump ever!! Thank you very much for the new version. I realy hope i can forget about XSI from now on. Spoke a little to soon. I'm getting an error when trying to run the script. Awesome! I would absolutely love to finally ditch XSI, so all the more power to you for working on an improved max exporter. I added this to the links on the Modder's-Get-An-Answer and Idiot's Guide to Modding threads. Great job. Forum is eating my replies? I might be using script functions that aren't supported in 3dsmax 8. Could you post whats being printed into the listener in full? You can open the listener from the maxscript menu or by right clicking on the red and white boxes in the lower left. Edit: Forum kept eating my replies. No idea what was going on. "No nodes added to GameMesh processor "
Mesh will not export. Materials applied, bones added to skin modifier and applied to mesh. What's wrong? Edit: Oh, right. Should probably mention, I'm using 3ds max 2010. Edit 2: Ok, It stopped with that error, but now I get an "unknown property count in undefined" and it does not export. - After added bones as mesh point and linked them to editable mesh, I received error message "No bones added as points" while exporting to mesh file. - I imported game mesh file (ie capitalship_techcarrier.mesh), only ship object displayed, there is not any points, then I exported them without changing anything, i got same error. - I solved this exporting problem, i have to link the bones to skin. - The importing problem still being there. I exported mess successfully, but i havenot tested it yet and i don't know how it work, need script author to correct this script. Is there any one who uses 3ds max to make models for rebellion? I'm getting the same problem of "--Unknown property: "count" in undefined" for Max 2010 64bit, same code as above mainly. --- check if gamemesh is multi surface. messagebox "No bones added as points." bstream = fopen file "wb"
if mat.diffusemap != undefined then SOASEREBELLION_WriteString bstream mat.diffusemap.name else SOASEREBELLION_WriteString bstream ""
if mat.specularmap != undefined then SOASEREBELLION_WriteString bstream mat.specularmap.name else SOASEREBELLION_WriteString bstream ""
if mat.bumpmap != undefined then SOASEREBELLION_WriteString bstream mat.bumpmap.name else SOASEREBELLION_WriteString bstream ""
if mat.displacementmap != undefined then SOASEREBELLION_WriteString bstream mat.displacementmap.name else SOASEREBELLION_WriteString bstream ""
if mat.filtermap != undefined then SOASEREBELLION_WriteString bstream mat.filtermap.name else SOASEREBELLION_WriteString bstream ""
-- calculate which cached vertlist the vert goes into. Hi, I tried to use SOASE rebellion export plugin for 3ds max, I set the textures right but when the exporting is done It says " Unknown property: "count" in undefined. Please help. My apologies for bumping a year-old thread, I should know better but I'm desperate. I'm using 3DSMax 2012 and whenever I try to import a ship I get the error "Multiple Materials not yet supported". I thought multiple materials WAS supported? If someone could help me, that would be much appreciated. Again, I'm sorry for bumping an old thread. I am just assuming, but it is possible that the version of max you are using is too "new". This plugin was first made in 2008. Not long after Sins was released. I use 3dsmax version 2010, and i have no issues with the plugin. However i just used the plugin to import sins meshes to export them into other programs. Like the NanoFX Evolved model viewer. Version 2012 may have changed something to cause the problem you are having, and disable some of the plugins functions. The plugin does not state what version of max it was made on. Nor does it say which version/s it is compatible with. Autodesk has changed a lot of things about 3dsmax over the years. I tried version 2015, but got rid of it almost immediately. First thing i noticed is that the textures are now "connected" just like how its done in Softimage/XSI. Many things about 2015 remind me of Softimage/XSI (no surprise since Autodesk owns Softimage as well). 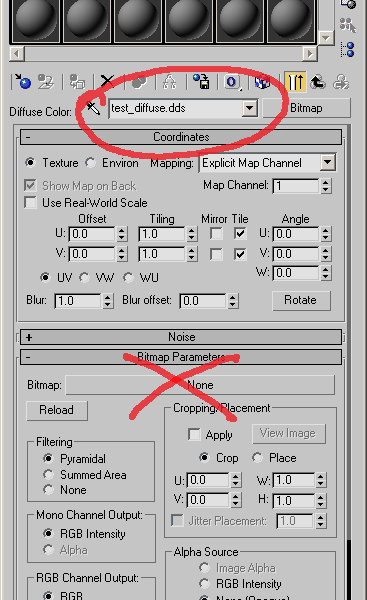 However the deal breaker for me was they removed one of the BEST (IMO) features of 3dsmax. Lock Zoom, and Pan for background images. Locking the zoom, and pan allows you to model from a blueprint, or single view from a 5 view orthographic image. AFAIK no other modeling program could do that. It was very disappointing. Anyways try using an older version of max (if you can get one), and see if it works for you. Didn't work. 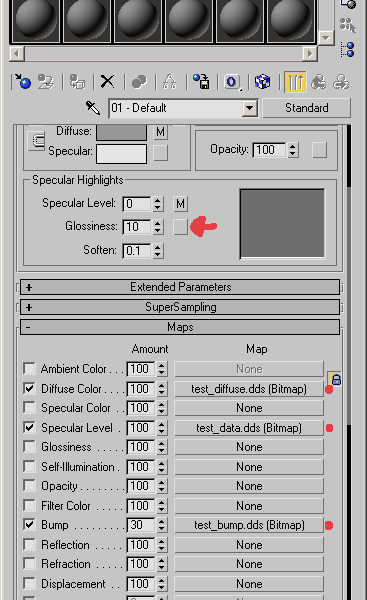 I still get the "multiple materials not supported" error, even when using 3DSMax 2010. Only certain ships are causing this though. Also, I'm using meshes from a mod, not from the actual game. Is that a problem? I would learn XSI free mod tool. I have imported many models, I dont think that script can actually handle multiple UV maps, so if you import one that uses multiple materials, you will need to remap the UVs to the 2nd UV you create. Well, I used an older version of the Max importer in 3DSMax 2010 and it got past the "multiple materials" error, but now I get "Unable to convert: undefined to type: Integer". I tried to do some research into by google searching but I couldn't find one definitive answer. I've also tried to use XSI, myfist0, but it crashes whenever I try to open it. I seem to be surrounded by errors.